This giveaway is now closed, thank you everyone for participating! Congratulations to our winner - Margaret! I love passionate people, don't you? Have you noticed the flare in their eyes and the determination they put in anything they do? Today I am proud to introduce you to one such person - Laurie from the shop with the coolest name - Do You Like My Hat? In Laurie's etsy shop you will find whimsical eco-friendly knits that not only exude warmth and coziness but make you want to touch them and have them! I find myself fascinated with her mohair cowls in different colors and shapes. But she also offers baby blankies that your kids will love. Laurie's attraction to knitting comes from the desire to continue her mother's craft. 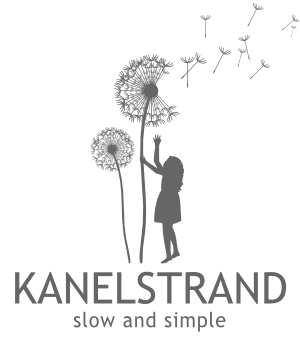 And family traditions are something we totally love at Kanelstrand Organic Living. That is why starting today and only for a week you will have a chance to win this incredibly soft, colorful scarf knit out of hand-painted silk and beaded mohair. Laurie has been extremely generous, offering such a piece of art, valued at $75! To enter the giveaway you only need to follow the Rafflecopter widget - it is easy as a breeze! In bold are the two mandatory entries you have to complete in order to enter this giveaway. If you only complete one of them you will not be eligible to win. To increase your chances of winning, go ahead and complete all of them! Apart from the features scarf which is a beautiful colour and pattern I like the mohair cowls- autumn & sea green/blue. Lovely colours and so soft and cosy looking. I like the Hand painted silk and mohair red and gold cowl - not only will it keep me warm, I absolutely love the warm color! What gorgeous work and beautiful colors! <3 Good luck, everyone! I love the green, teal and brown cowl! It is truly a work of art....gorgeous!! Thanks everyone for your lovely comments and thanks to Sonya for this wonderful opportunity! Love the harry potter themed scarf! A diehard fan. Hi there! So I guess you have house bunnies as well? I found your lovely blog on My house rabbit. We're neighbours, I live in Sweden. Heja Norge! Hade gott! I absolutely adore your Autumn shades hand painted supermerino cowl because these suit my face more than other hats, etc.! I love the fact that it can also be just a cowl when you don't need it over your head! The Doctor Who scarf. I have made one and am making a second for the same child. Would love one this one. The Green, teal, brown and beige superwash merino hand knit cowl is my favorite because I love the colors and I think this would keep me warm! I like the Pink and Purple Merino Wool Scarf. I love the colors used. And I think it has a unique look to it, with the added lace and beads. It just makes it stand out. Thanks for hosting such a gorgeous giveaway. Just the thing to brighten up winter! The mohair autumn colors hand knit cowl (http://www.etsy.com/listing/84419961/mohair-autumn-colors-hand-knit-cowl) is just scrumptious. Thank you for this wonderful giveaway! I like the Dr. Who Scarf!! I love big giant scarves!! My favorite would have to be the Chunky hand painted supermerino wool beretFrom likemyhat, I love the colors and the style. I adore the Green, teal, brown and beige superwash merino hand knit cowl. 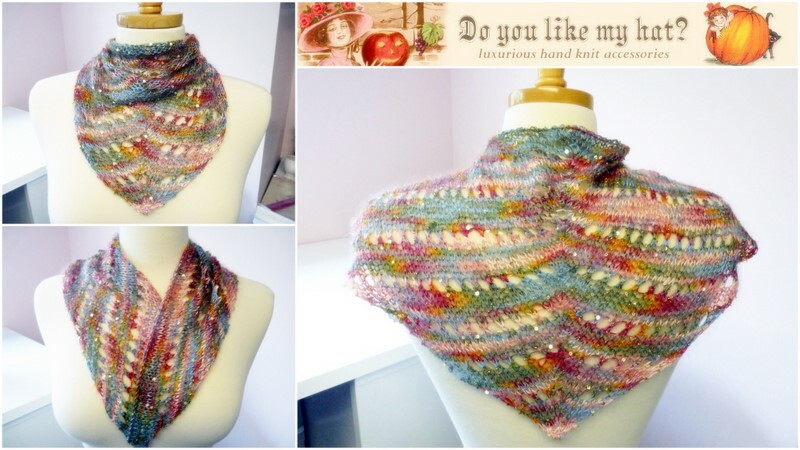 The colors are gorgeous, and I love the more chunky looking knit -- it looks so cozy! I think my favorite is the Blue and green superwash merino baby blanket! Sea green and blue mohair cowl is my fav! so soft and such beautiful colors! I love the seagreen mohair cowl! I like the Mohair autumn colors hand knit cowl because it looks so soft and autumn is my favorite season. The color combinations are so beautiful. Hand painted silk and mohair red and gold cowl!! I like the 🐚 The Green, teal, brown and beige superwash merino hand knit cowl, as well as the 🌺 Hand Painted Super Merino Wool Beret from I like my hat. They would both be perfect when the snow starts to fall. I'm in love with the black and gray alpaca merino scarf and the back & white merino wool cowl. Amazing. I like the Pink and purple merino wool scarf with lace and buttons... Perfect when I am cold and the husband is roasting! Everything is so amazingly adorable. I like Sea green and blue mohair cowl because it looks soft and beautiful. I like Dr. Who superwash merino scarf because it's so colourful!